Facebook's acquisition of Instagram in 2012 was a classic imperial conquest. For a king's ransom (at the time) of $1 billion, Facebook bought a rival and made it a vassal, while promising Instagram its autonomy. But now, as co-founders CEO Kevin Systrom and CTO Mike Krieger announce their departure from Facebook, it seems that, in classic Instagram style, that not all was well behind the sepia-toned filter. Systrom and Krieger founded Instagram eight years ago after retooling their unsuccessful location-sharing app Brbn to focus on its most popular feature - the photo filters. This rising star in the social media world did not escape the attention of Facebook (can anything? ), and the social media giant saw opportunity - not just to acquire this budding rival but also to leverage it against photo-sharing social media phenomenon Snapchat. And it worked. Zuckerberg couldn't have made a better investment. Today Instagram influencers are highly courted celebrities and spokespeople and Snapchat is floundering after it's popular 'stories' format was straight-up copied by Instagram. Instagram gave ordinary people a way to express their creativity and visual artists a platform suited to displaying their work, but was also a catalyst that accelerated the harmful effects of an overly image-based culture, one in which carefully curating life through a smartphone lens seemed to supersede simply living in the moment. So what drove Systrom and Krieger to exit this apparent's success story? According to sources speaking to TechCrunch, internal politics and an overbearing, controlling attitude from Facebook's higher-ups had a hand in stifling the Instagram co-founders. Does Facebook know how to 'share'? Part of the acquisition deal was that Instagram was supposed to operate independently under the Facebook umbrella. But TechCrunch’s sources report increased tension between Instagram and Facebook’s leadership this year centered around the replacement of Instagram’s VP of Product Kevin Weil by former VP of Facebook News Feed Adam Mosseri. The source alleges that Mosseri, along with Chris Cox (Facebook's Chief Product Officer), both members of Mark Zuckerberg's inner circle and the "old-school in-crowd of Facebook" pressured Instagram to do more and more to drive traffic and attention to Facebook, effectively subverting Instagram's resources to the parent company after the social media giant was rocked by the Cambridge Analytica scandal, from which Instagram had emerged relatively unscathed. Some of this intrigue was played out right in front of us on our screens. Users may remember that for a time last year, a shortcut to Instagram appeared on the Facebook bookmarks menu. This shortcut was short-lived, but this year Instagram users have been getting Facebook alerts in their Instagram feed and a Facebook button in Instagram settings. Again, this reflects a classic imperial strategy: the resources from the colonies must flow to the power center. It's hardly surprising to hear that Facebook reneged on its guarantee of independence for Instagram. Facebook's motto is to "move fast and break things", and that includes promises. The company has seen itself under an increasingly hot spotlight after breaking promises to its users, its moderators and to its business partners. Because part of Facebook's strategy for dominance is to acquire something people like because it's different from Facebook, and then 'break' them, or Facebookify them. 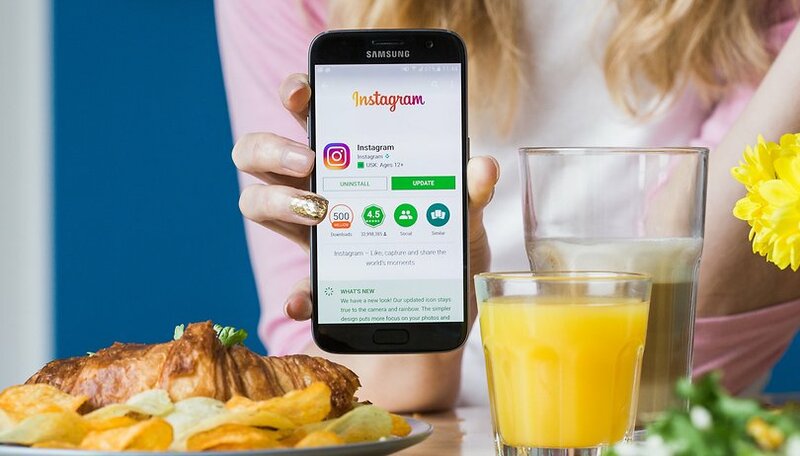 Instagram's transformation from photo-sharing app to advertising and lifestyle brand machine is one thing, but also recalls a more acrimonious split...Facebook's acquisition of WhatsApp. When Facebook acquired WhatsApp back in 2014, users were promised that the service's strict privacy controls would not be compromised. But, surprise, surprise...when the emperor needed that user data, it was taken with an iron fist. Jan Koum and Brian Acton, WhatsApp's co-founders, also recently left Facebook, slamming the social media company's lack of privacy. Acton even went to so far as to urge users to delete Facebook and turn to the open source private messenger platform Signal as an alternative to the company that he founded. Systrom and Krieger cite that they have left Facebook to "explore our curiosity and creativity again", with the implication that Instagram may not be the place to cultivate either of those things anymore, for them, or Instagram's 1 billion active daily users who may soon see what they loved about their favorite photo-sharing app strangled by blue hands. With thumbs up, of course. What do you think about the state of Instagram? Will Facebook end up regretting its heavy-handedness?